These cookies are definitely the best to have with tea! They taste perfect and melt in your mouth. 1.) In a large bowl add Margarin, vodka and powdered sugar. Mix together well and then add your flour. Mix again and then split into 2 different pieces. 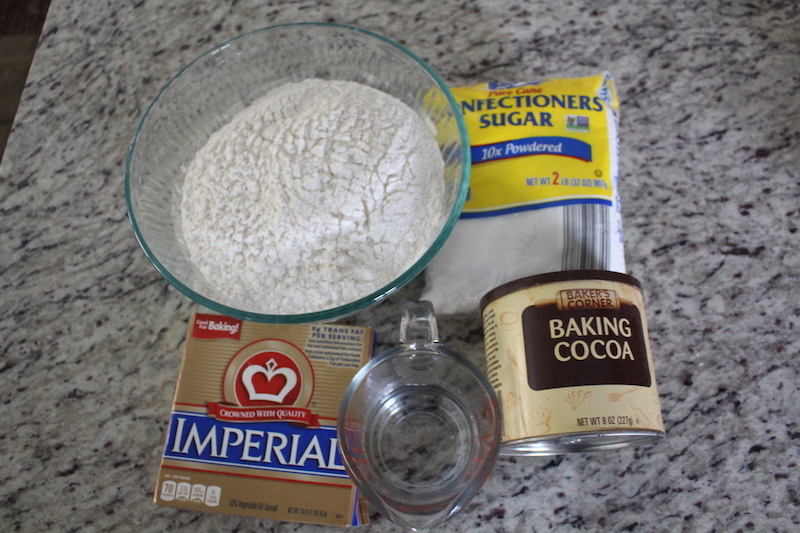 Add cocoa powder to one side. Kneed both until you have 2 different doughs. 2.) 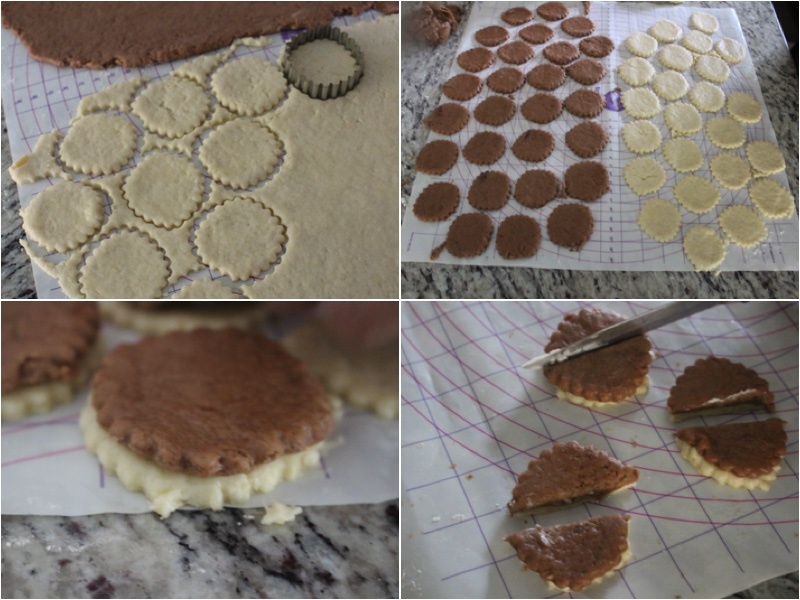 Roll out both of your doughs and cut out the shapes with the form. Stack 1 of each dough on each other. Then cut in half. 3.) 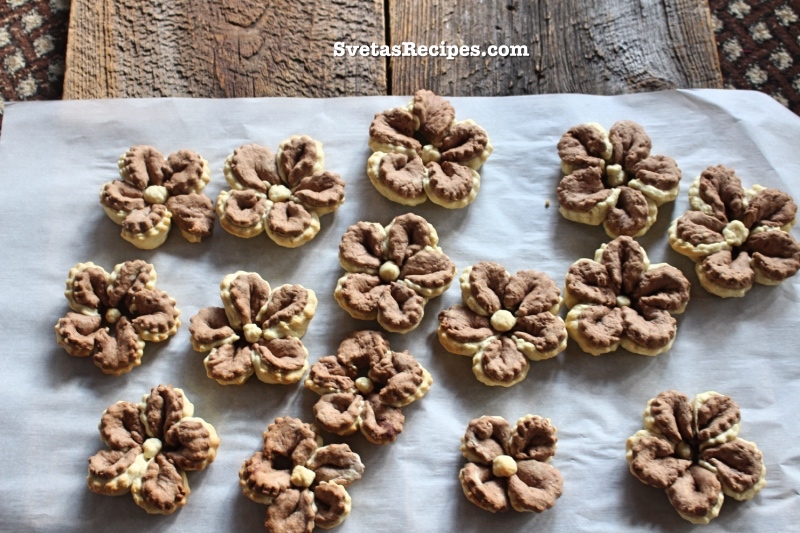 Using your fingers bend the dough into a u shape then repeat it to make one flower. With your excess dough place a ball in the middle. 4.) 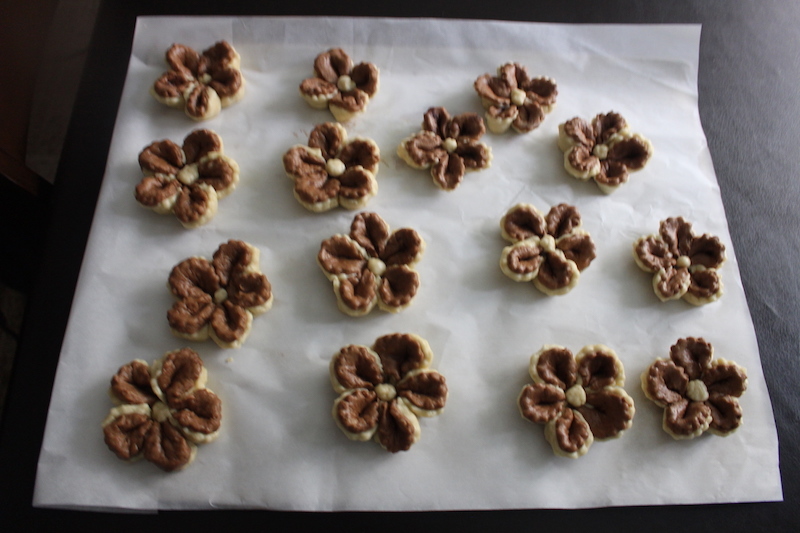 Place all of your flowers on parchment paper and then onto a baking sheet. Bake on 350Fº for 30 minutes. Take out and let them cool, then enjoy with some hot tea. In a large bowl add Margarin, vodka and powdered sugar. Mix together well and then add your flour. Mix again and then split into 2 different pieces. Add cocoa powder to one side. Kneed both until you have 2 different doughs. 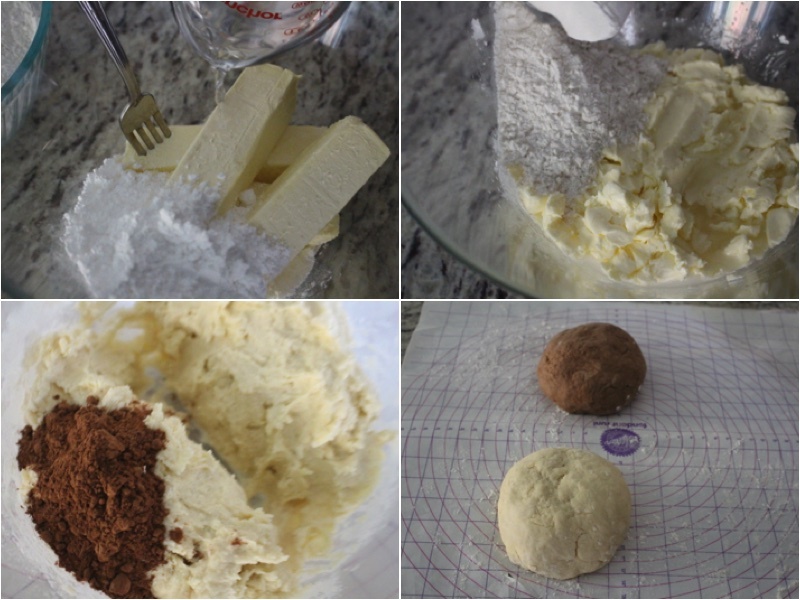 Roll out both of your doughs and cut out the shapes with the form. Stack 1 of each dough on each other. Then cut in half. 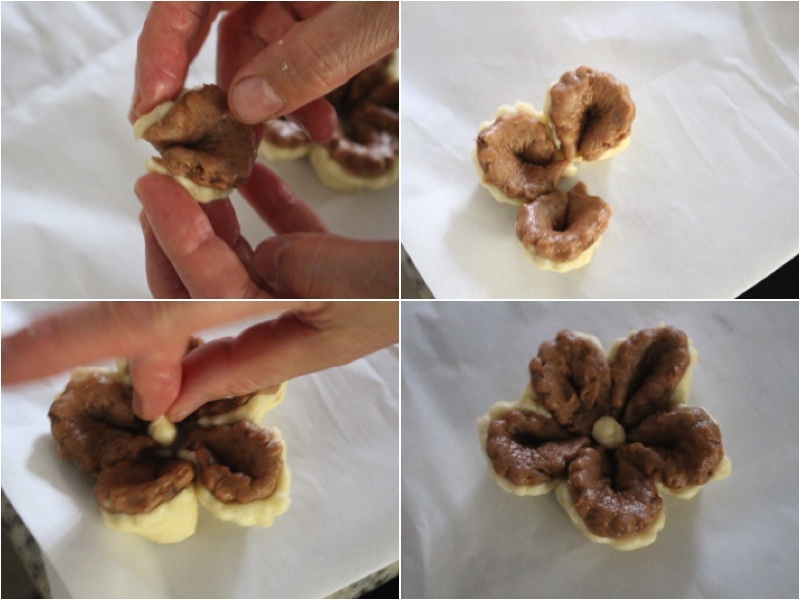 Using your fingers bend the dough into a u shape then repeat it to make one flower. With your excess dough place a ball in the middle. 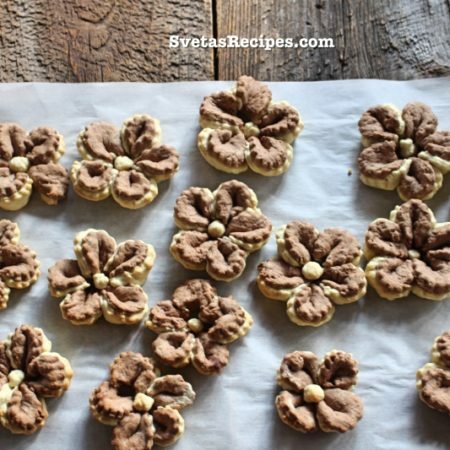 Place all of your flowers on parchment paper and then onto a baking sheet. Bake on 350Fº for 30 minutes. Take out and let them cool, then enjoy with some hot tea.